Rumors have surrounded Dmitry Muserskiy‘s departure for Japan since back in July. Back then it was thought he had a chance to land on the roster of the Suntory Sunbirds. 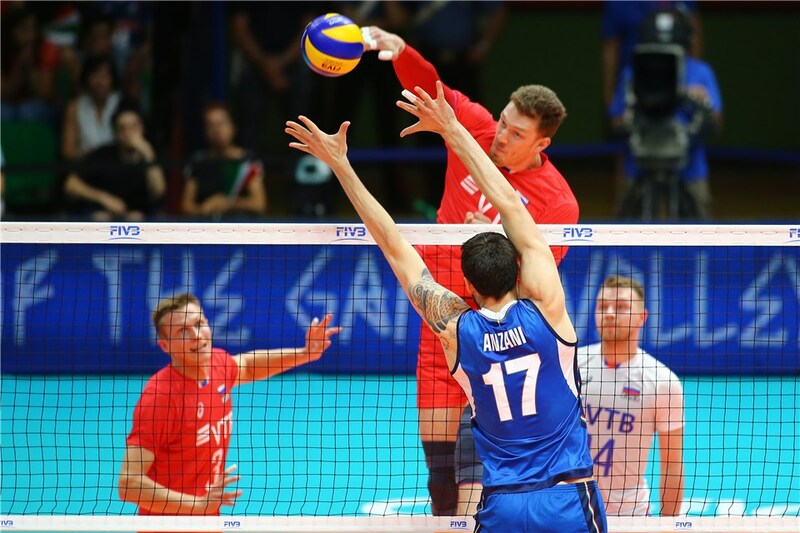 It was announced on Friday, August 10, 2018 that the 7’2″ (219 cm) middle blocker will be leaving the Belogorie Belgorod for the Suntory Sunbirds in Osaka. This is quite a significant signing for the Blazers, who finished 7th out of 8 teams in the Japanese V-League last year. In his time with Belogorie, Muserskiy has led them to a Russian Super League championship in 2013, a CEV Champions League title in 2014, and the FIVB Club World Championship title in 2014. The finished a disappointing 5th in the Russian Super League playoffs this last season and missed out the Champions League this upcoming year. This is quite a loss for the Russian club, though they have brought in Nemanja Petric and John Perrin as their foreign reinforcements to help them get back on top of the standings next season. There was talk earlier in the summer that Muserskiy would get an opportunity to play opposite with Suntory. Remember that he played opposite for Russia in the gold medal match of the 2012 Olympic Games after falling down 2-0 to Brazil. Belogorie also used him a bit as an opposite in 2015 after Gyorgy Grozer left the club. “I can proudly say that my conscience before the club and the fans is absolutely clear.I tried to show my maximum every training and every match, regardless of the physical state and events occurring in my life, always playing until the last whistle,” Muserskiy posted on his Instagram profile. “I gave a lot of strength and energy, protecting the honor and traditions of the club, sometimes playing both injured and sick with temperature, understanding the importance of matches and the responsibility to the fans and sponsors, and I’m proud of the work done, my play and the personality that I became over the past 13 years of my life,” he added.